The relatively peaceful conclusion of the Cold War encouraged many to hope for the commencement of a new era of international relations; one characterized by co-operation and growth. However, by the early 1990s, there was a growing sense of pessimism and insecurity. This was reflected in the emergence of a new metaphor for future world politics, that of the ‘clash of civilizations’. 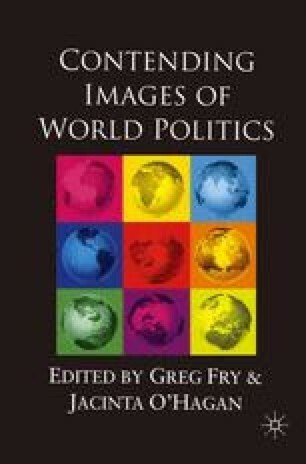 Introduced by the well-known American political scientist, Samuel Huntington (1993a), the metaphor suggested that world politics were being reconfigured with the ‘fault lines’ between cultures replacing political and ideological boundaries as ‘the flashpoints of crisis and blood shed’. It invoked an ominous image of the inevitability of conflict, the immutability of difference and a doomsday-like scenario of a third world war fought along the fault lines and fissures of culture. I would like to thank Greg Fry and Sanjay Seth for their helpful comments on this chapter.